Hailed the “Father of all Waters” by Native Americans of the Sac and Fox tribes, an artesian spring at what is now the intersection of Main and Boone streets is where Troy’s history began. Early settlers built homes, businesses and, in wartime, a fortress near the spring. Though construction on State Highway 47 later stopped the flow of the water, the spring was the source from which the city grew. According to Troy’s Dosquicentennial – 175thanniversary – Historical Book compiled by John and Margaret Clare, thick forestry and plentiful wild game for food and fur sustained native tribes and attracted foreign explorers to the area. Two of those early explores were Frenchmen Louis Joliet and James Marquette who arrived here in 1673. However, it wasn’t until about 1799 that Major Christopher Clark, and Vermont natives Joseph Cottle and his son-in-law, Zadock Woods, arrived here with their families. 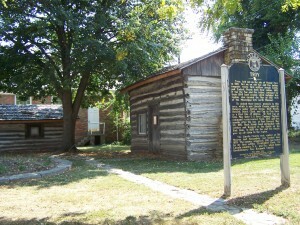 The men built log cabins next to the spring. 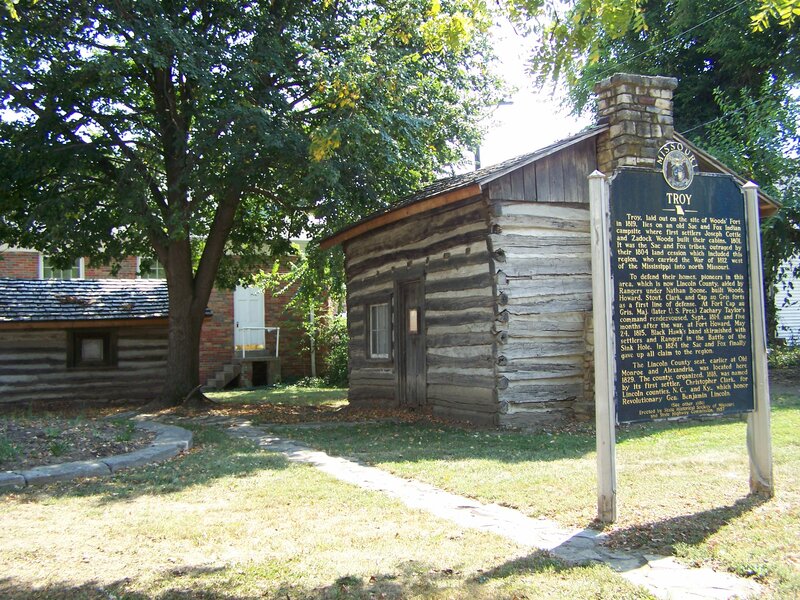 Woods constructed a double log house that would later serve as a hotel, a courthouse, and a polling place. Cottle was a deacon and operated the area’s first business, a grain mill. The Dosquicentennial Historical Book explains that in 1802, the settlement was given its name. Though names like Woodville, Cottletown and Hardscrabble were suggested, it was the recommendation of a grocer from New York that stuck. Joshua Robbins told settlers about his hometown on the east bank of what is now the Hudson River. In the tradition of other New York cities – such as Syracuse, Rome, Utica, and Ithaca – Robbins’ hometown received a Greek name after the legendary city that played a key role in the Trojan War, Troy. At Portage des Sioux in 1804, representatives of the Sac and Fox tribes were persuaded to sign a treaty with the United States to cede millions of acres of land along the Mississippi River, mostly in Illinois, but also in parts of northeast Missouri and southern Wisconsin. Efforts to enforce the treaty caused conflicts between settlers and Native Americans who were not consulted and opposed the treaty. During the War of 1812-1815, Native Americans joined forces with the British to stop American expansion. Troy’s settlers had built a square stockade for protection on the site near the corner of Main and Boone streets. The stockade stretched 70 yards north to include the home owned by Zadock Woods. The stockade extended to the east to include the home of Joseph Cottle. The Dosquicentennial states that 25 to 30 families took refuge in cabins built inside the boundaries of the fort. Though many families returned to their homes outside the stockade after the war, some continued to live in the cabins. In 1818, the legislature passed the Territory of Missouri act to organize eight counties – including Lincoln County. 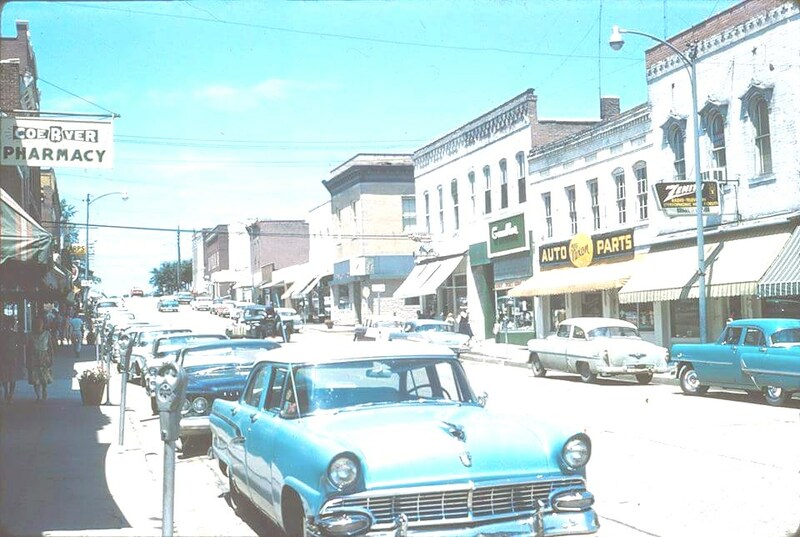 The county received its name from Major Clark, who was born in Link-Horn County, North Carolina. According to the Dosquicentennial, Clark proclaimed that he wished to live the rest of his life and die in Link-Horn County. The clerk responsible for recording the name of the county misspelled it as Lincoln County.